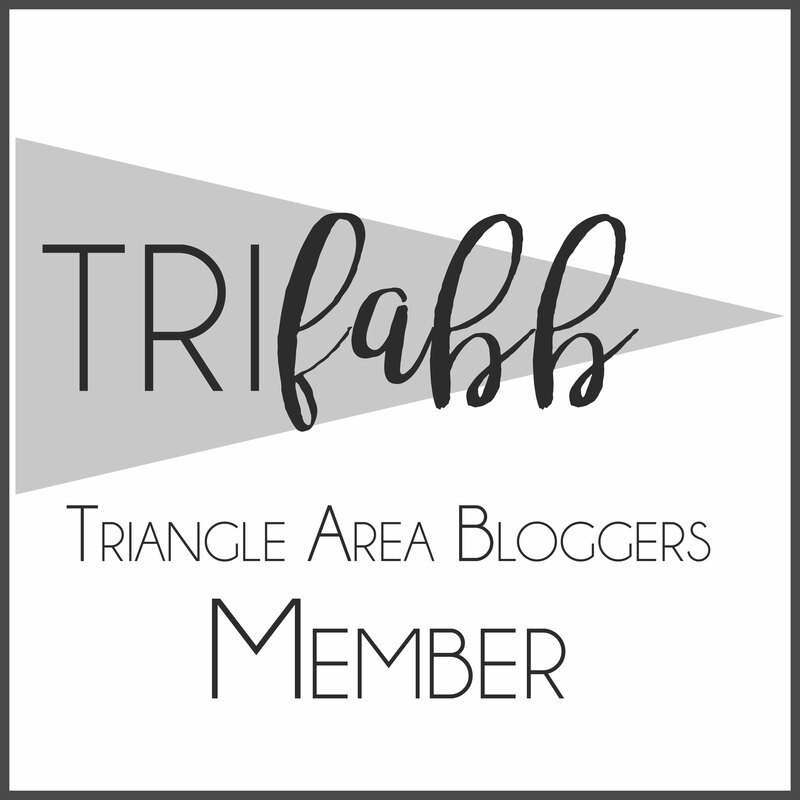 We are ALL bloggers that live in the Triangle region of North Carolina! Our friends at Style Collective are hosting a two-day conference where you’ll have access to an impactful two-day program full of hands-on workshops, insightful panels, bossbabe networking, delicious food, dancing, photo ops, and lots more! The Style Collective Conference will be the perfect balance of learning, networking, and most importantly, doing! Would you like to make over $3,500 from your side hustle? Do you want to convert what you learn into actionable goals and profit for the remainder of 2018? With everything that #SCCon18 is offering you, you will have the ability to increase your investment in yourself by at least 180%. BONUS: Use code TRIFABB at checkout for $50 off your classic ticket today! How to find contacts and what to say to create authentic connections with media and brand contacts in order to increase your visibility, build your reputation, and monetize your passion. Leverage your publicity opportunities to improve your credibility, your pitches, and 10x your brand deals. Learn why you should start a podcast to share your vision with millions of people around the world. Find out what chart-topping podcasts have in common, how guests amplify your mission and how you can collaborate with others through a shared purpose. Purchase your #SCCon18 ticket here:https://stylecollective.us/conference , and use code TRIFABB for $50 off! Plus, once you purchase your ticket, we pay you $100 for every attendee you get to buy an #SCCon18 ticket! You’ve waited all year for it – now get ready for the sixth annual TriFABB Holiday Party! This year we’ll be celebrating at The Flourish Market on Friday, December 8 from 6-8pm. As part of the season of giving we’re giving thanks for all our fellow bloggers and everyone in our community by supporting TWO great local organizations! Bring a can or 2 (or 3!) of food such as beans, corn, peas, etc. for our TriFABB Food Drive to help hungry children, families, and seniors of the Triangle in partnership with Inter-Faith Food Shuttle. 10% of all purchases at Flourish Market during the TriFABB Annual Holiday party will go to benefit the Dressember Foundation. Tasty appetizers will be featured from Sassool Mediterranean grocery of Cary as well as mimosas provided by Flourish Market! Each party guest will receive a sweet treat to take home from Videri Chocolate Factory out of Downtown Raleigh! We will have a very special activity taking place during this year’s party. There will be a letter-writing station where TriFABB bloggers can write a letter of encouragement to girls that will be moving into a house Flourish Market is funding in Peru for trafficked children. These letters will be hand delivered to the girls in the Spring. This will be an incredible opportunity to personally shine some light in a young woman’s life. Come experience the authentic magic of giving at Christmas while enjoying local eats, goodies, and fellowship with local bloggers! *Free street parking on Tucker St. and nearby. **Please bring a canned food item or two for our Food Drive! Author trifabbPosted on November 30, 2017 November 30, 2017 Categories UncategorizedLeave a comment on Our Sixth Annual TriFABB Holiday Party! SO excited to announce our Summer meetup!! This one is going to be amazing, y’all. We are officially transitioning to quarterly meetups / events and this one is the kickoff!! -20% of all sales from the evening will benefit Transforming Hope Ministries! It’s going to be such a fun night! Our first March meetup is going to be Thursday, March 2nd at 7pm at Runologie in Raleigh!! SAVE THE DATE for our March 26th Meetup at Local Squirrel! Author trifabbPosted on February 20, 2017 Categories Event, InformationLeave a comment on Upcoming March Meetups Announced! Here are the details for our FIFTH ANNUAL triFABB Holiday Party!!!!! BRING: A toy ($15 or under) to donate to the Transforming Hope Ministries toy drive for kids in need in our own community and receive 10% off your purchase!! Oh, and there’s going to be sips, sweets, and so. much. fun. Who is coming?!?!?!!? See you there!!!! Author trifabbPosted on December 3, 2016 Categories UncategorizedLeave a comment on Our FIFTH ANNUAL #triFABB Holiday Party – RSVP now! A SLIGHT change in plans (for the better!! )… we have partnered with Amorino, a new gelato and treat place to host a blogger night out with an exclusive, complimentary tasting for our November 30th meetup! It’s. Going. To. Be. Awesome. We have a PACKED November and we’re gearing up for an awesome December. Check out our November events!!!! PLEASE make sure to RSVP!